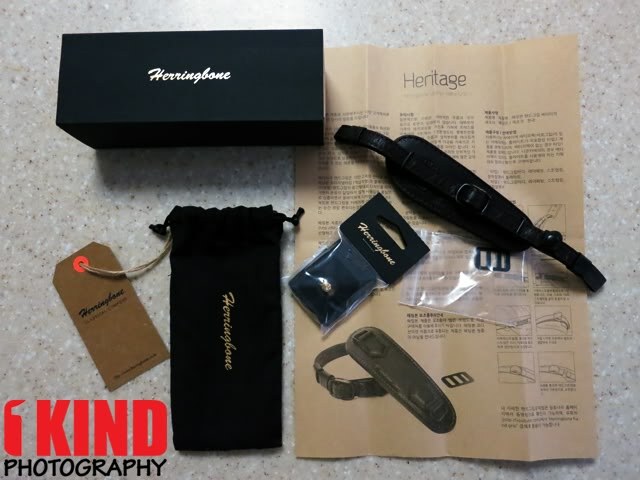 Overview : The Herringbone Heritage Hand Strap is a luxurious hand strap that is hand-made using premium 100% genuine leather. Both the hand grip and the webbing are made of genuine leather. 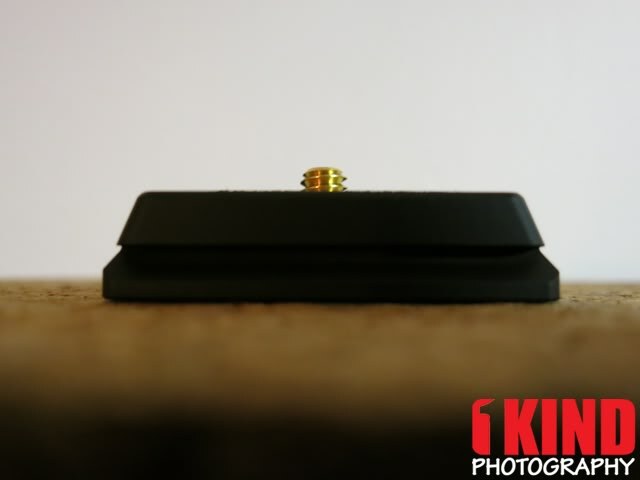 Strap buckles and snaps are also made of high quality leather and metal components. Moreover, every package comes with a unique Multi-Plate (available only with Type 1). 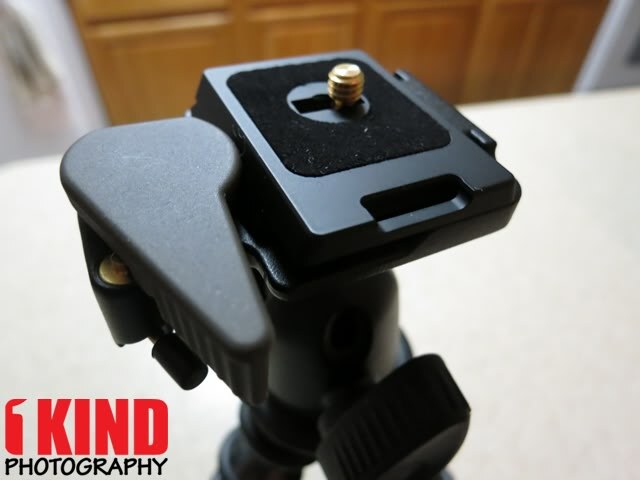 This plate does not only serve as a way for you to attach your handgrip strap, it also serves as a quick release tripod plate for both the Arca-mount tripod head and a Manfrotto RC2 head. (The Multi-Plate is not sold separately). Quality/Usability : If I'm not using my camera sling strap and just holding the camera with my bare hand, I'm afraid that one day I will drop the camera. So I decided to look into a hand strap. Having a hand strap allows me to hold onto the camera without holding on to the camera with my death grip to make sure it doesn't fall. 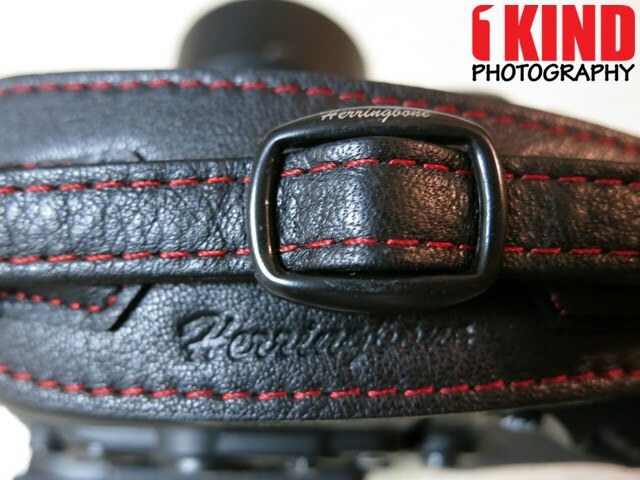 As I browse multiple camera forums, I've read and seen threads about Herringbone straps. It costs more than the cheap no names and less than the popular ones. The most important feature for me is comfort. I couldn't try it out since there seems to be no US dealers, so I had no choice but to purchase the strap online. There are also two types: Type 1 and Type 2. The difference between the two types is one includes the Multi-Plate and the other doesn't. The strap itself are the same. Type 1 is geared towards cameras with no battery pack and/or no slot to attach a strap. Type 2 is for those who use a battery grip and/or has a slot to attach a strap. I know on Canon battery grips, you're able to attach a hand strap but with Nikon's you can't. It's all personal preference. If you get the one with the plate, you don't have to use it but it's always good to have for resell value. Of course, getting Type 1 will cost a couple bucks more than the Type 2 and the multi-plate can not be purchased separately. I opted for the Black with Red Stitching and Type 1. I got the red stitching version to match the red accent on my Nikon. I know some Canon users will get the red stitching version to match their L lenses. Included is the hand strap, strap webbing, strap plate, multi-plate (not included with Type 2) and pouch. The strap plate allows you to use both hand strap and neck strap (if you use one) at the same time. If you don't use a neck strap, you don't need to install it. The Herringbone logo is stamped onto the leather and printed on the buckle as well. The quality of the leather is top notch and the stitching is done very cleanly. The leather isn't stiff and is fairly soft and flexible but doesn't feel cheap in the hands. Once the strap is installed, adjust to your comfort. It can be loose or snug. If it's too tight, you won't have room to reach any of the buttons on the camera. If its too loose, you can reach the buttons easily but the camera can easily slip out of your hands. If you opted for Type 1 with the multi-plate, you can attach your Herringbone Heritage to the bottom of your camera/grip through the strap loop. If there isn't one, you can use the multi-plate or similar plates that allows you to attach a hand strap. The Herringbone multi-plate requires a coin to tighten and loose the screw. 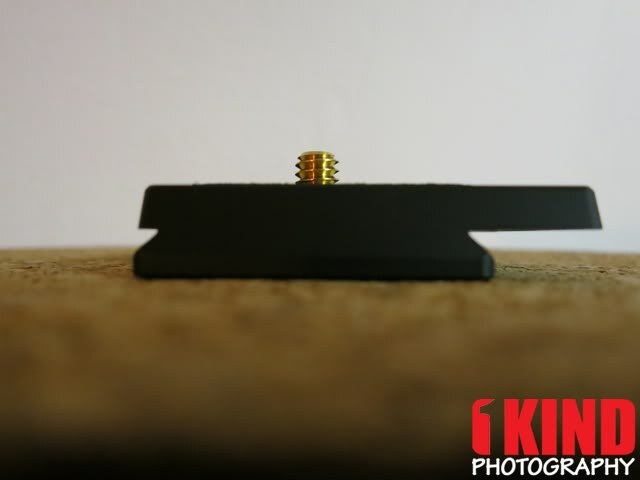 There is also threading inside the screw that allows you to attach to tripod or sling strap mounts. 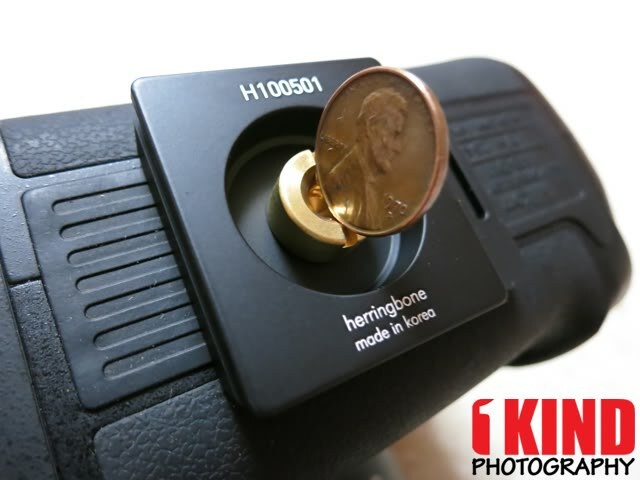 However, you'll need to remove anything screwed into the multi-plate before you can mount the multi-plate to your tripod. The Herringbone Heritage multi-plate is Manfrotto RC2 and Arca-Swiss compatible. So you don't have to have multiple quick release plates. 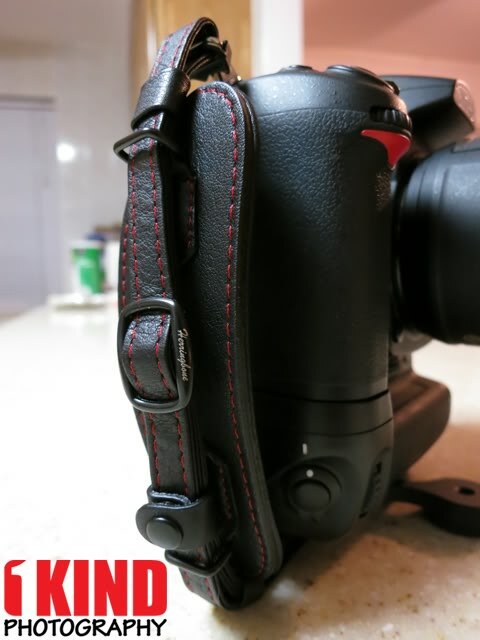 Just leave the Heritage strap attached and mount the plate to your tripod. Unfortunately, I'm unable to try it on a Arca-Swiss as I only own a Manfrotto RC2 tripod head. The fit is perfect with the RC2 and there is no wiggle once mounted. If I ever decide to switch to an Arca-Swiss system, I do not have to take the hand strap and reattach it to the new plate or find a new way to attach the strap if there is no slot. Conclusion : Overall, the Herringbone Heritage Leather Hand Grip Strap is a very comfortable strap. After a couple of uses, the strap will take the shape of your hand. I noticed over time, the strap will start to loosen. This could be because of the strap stretching. For a few extra dollars, I highly suggest getting the Type 1 with the multi-plate. Even if you don't use it, leave it in the box. I only suggest this because if you ever decide to sell the strap, having the multi-plate will help its resell value. Even if the strap is no longer useable, you can sell the plate by itself. 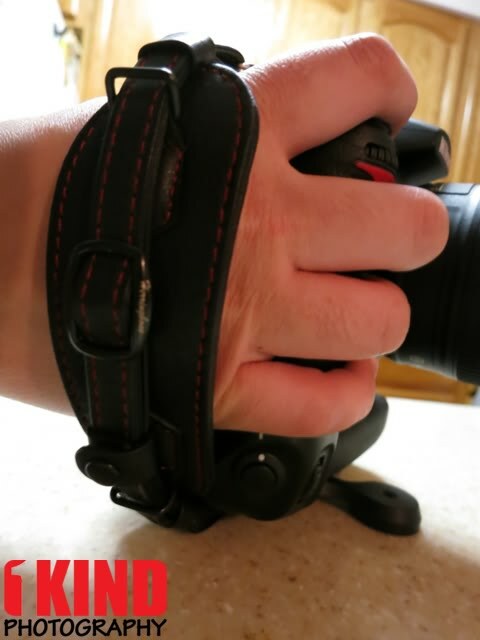 If you use a sling strap, you can attach it to the multi-plate but you'll need to remove it every time you need to mount your camera to your tripod. 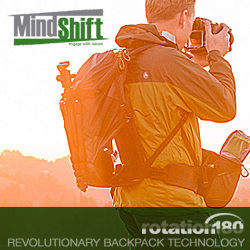 Think Tank Photo Announces New Airport Backpacks!